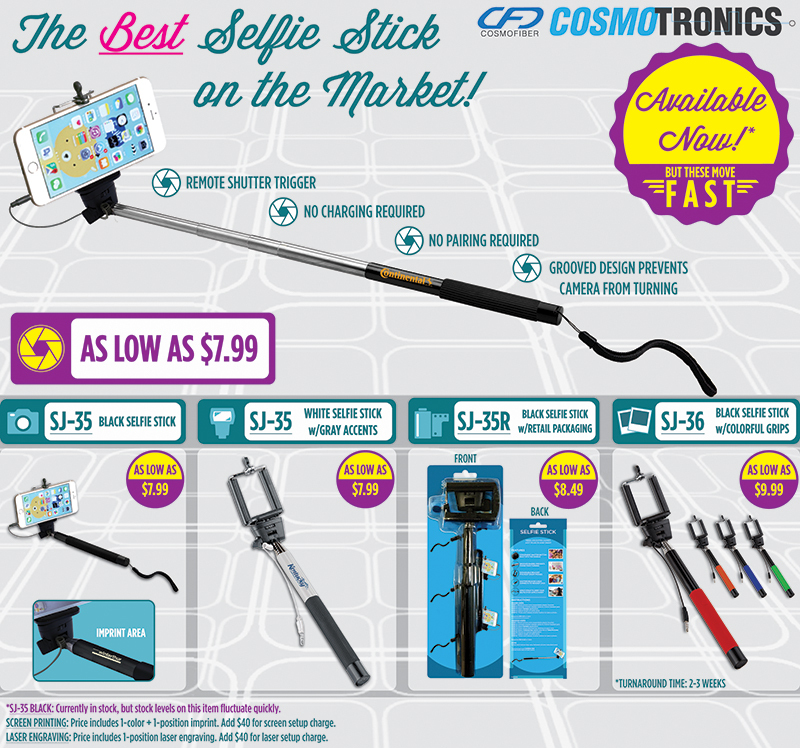 Print your logo on the popular new Selfie Sticks! Check with us for the latest sales! Let's get in touch and discuss your promotional products and printing needs. At The S&P Group, we strive to provide you with the best quality products to creatively communicate your brand messaging, promotion or mission. We have been in business for 20+ years and have amazing resources nationwide to help fulfill your needs. Whether you are promoting your next corporate event, charity fundraiser or family reunion, The S&P Group will help you commemorate your brand through effective promotional products.